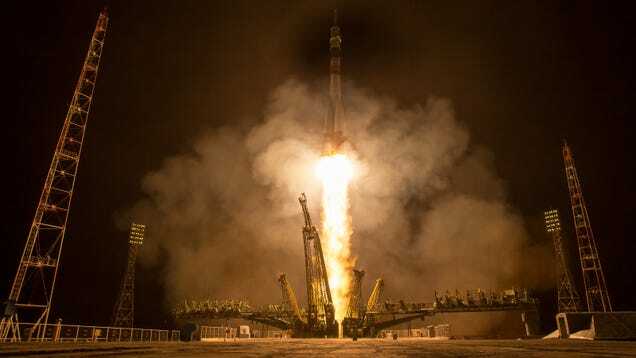 Friday, 19:42 GMT: Liftoff of the Soyuz TMA-16M spacecraft from the Baikonur Cosmodrome in Kazakhstan (pictured above and below), with Gennady Padalka, Mikhail Kornienko and Scott Kelly on board, headed to the International Space Station for a year-long mission. 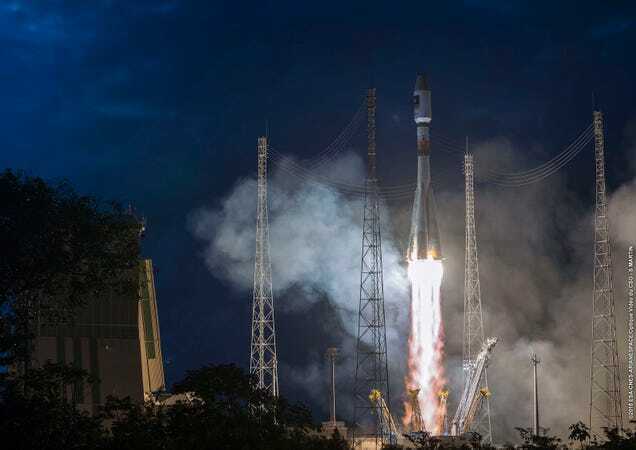 Friday, 21:46 GMT: Liftoff of another Soyuz rocket from Kourou, French Guyana, loaded with two satellites for the European Space Agency's Galileo navigation program. 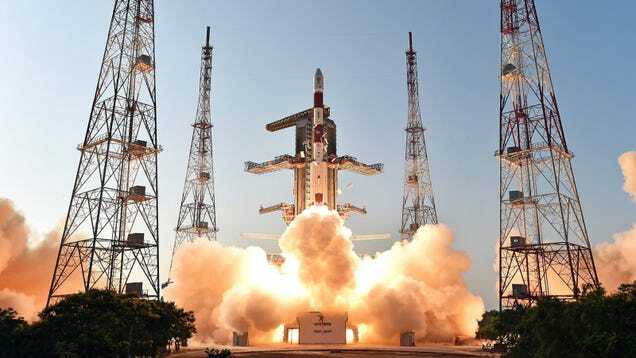 Saturday 11:49 GMT: Launch of the Indian Space Research Organisation's Polar Satellite Launch Vehicle PSLV-C27/IRNSS-1D, with the fourth satellite of the Indian Regional Navigation Satellite System in its payload, from the Satish Dhawan Space Center on India's east coast.